Your guests will be charmed and AMAZED (read her reviews!) when you invite #CaricaturesbyEmily to your party! It's so much fun to watch spot-on, yet light-hearted likenesses emerge from her pen, in only minutes per face. It's not just entertainment--it's also a party favor that your attendees will treasure forever! 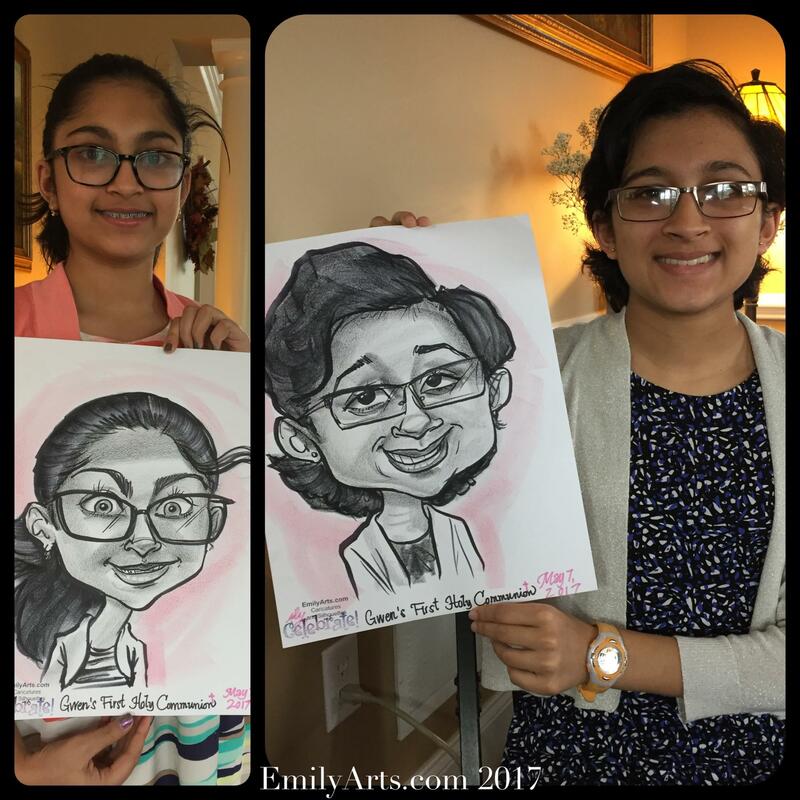 Emily has caricatured everyone from newborns to one-hundred-year-olds...and is proud of her 20+ years of professional experience at all types of events, from casual to formal. 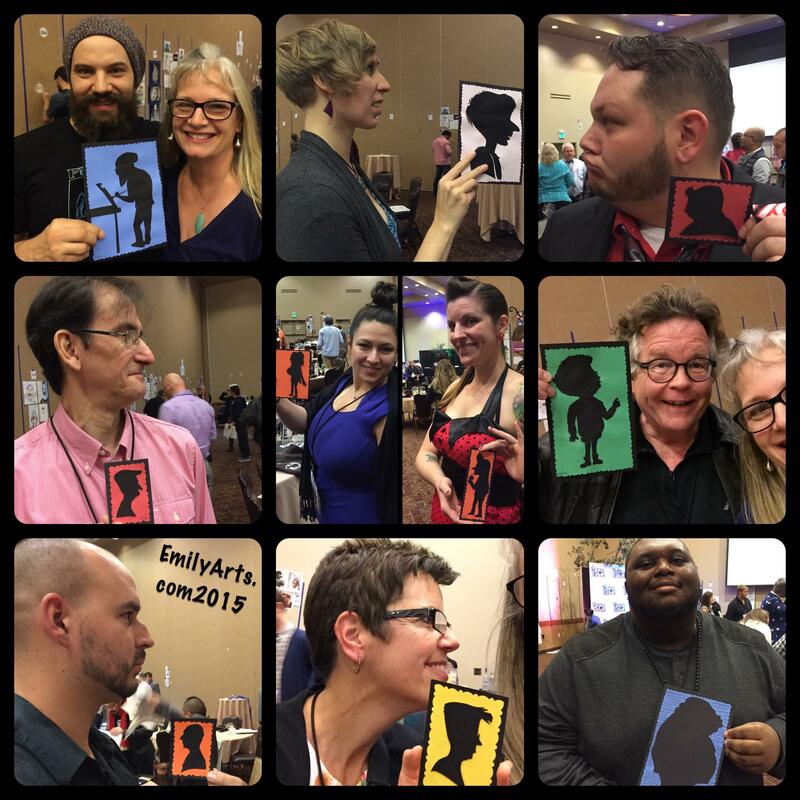 As an award-winning Gold member of the International Society of Caricature Artists, Emily is passionate about her craft. At events, her clients remark that they can plainly see how much she enjoys what she does for a living--putting smiles on faces, both literally and figuratively! Please visit the FAQ and Pricing page for rates. Silhouettes are elegant linear likenesses of the human profile or body ...simple yet stunning to watch being created from thin air! This is how people commemorated their loved ones before photography if they could not afford a portrait painter. There are very, very few practitoners today who do this lost art (especially without drawing first, or using a light to make a shadow)...just observing, then snipping, as Emily does! commissioned caricatures from photos--UNDER CONSTRUCTION!